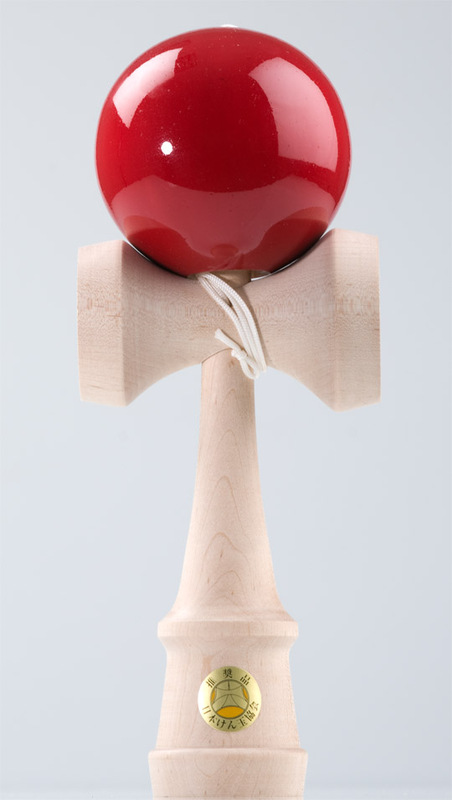 Taiyo kendama is an oversized version of the Ozora and is not a JKA competiton spec model. It is made from same wood as Ozora. Taiyo kendama is used by professional as performance. Tricks are way easier than its little brother. Available with a red ball only. Height 24cm. Weight 440g. Shipped in a paper box without spare string.